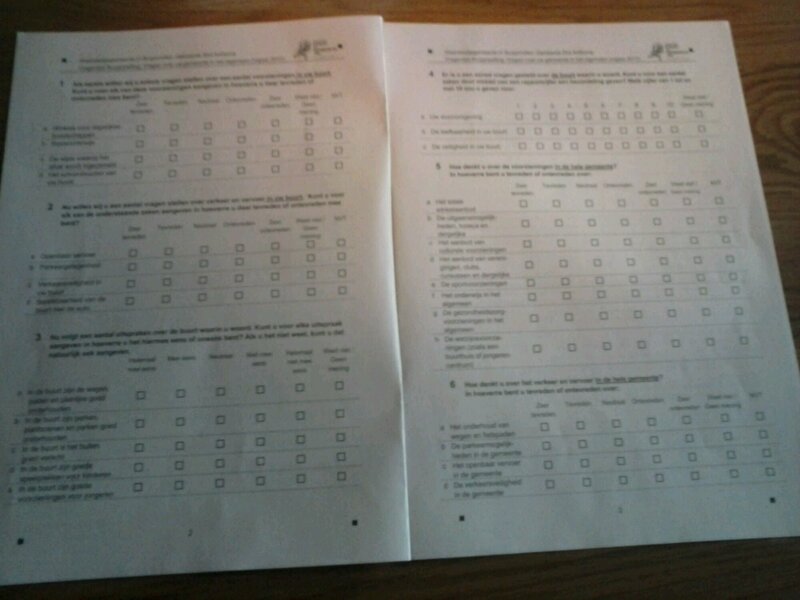 Got a questionaire from the local council recently. Going to have fun filling this in. This entry was posted on Thursday, September 26th, 2013 at 5:42 pm	and tagged with Netherlands, Politics, Public transport and posted in Netherlands, Politics, Public Transport. You can follow any responses to this entry through the RSS 2.0 feed.